Major archeological sites and a renowned museum remain the big draws in San Pedro de Atacama tourism, appealing to visitors interested in learning more about South America's pre-Columbian cultures. Start off your visit on the 24th (Wed): explore the ancient world of Pukara de Quitor, then take in the dramatic natural features at Valle De La Luna, then take in the natural beauty of Geyser del Tatio, and finally see the interesting displays at Father Le Paige Museum. On the 25th (Thu), you'll have a packed day of sightseeing: soar above the sights with a balloon tour and then explore the fascinating landscape at Atacama Desert. To see photos, where to stay, more things to do, and more tourist information, read San Pedro de Atacama trip itinerary website . Florianopolis, Brazil to San Pedro de Atacama is an approximately 14.5-hour combination of flight and shuttle. You can also do a combination of flight and bus; or drive. You'll gain 1 hour traveling from Florianopolis to San Pedro de Atacama due to the time zone difference. Expect cooler evenings in San Pedro de Atacama when traveling from Florianopolis in April, with lows around 4°C. Wrap up your sightseeing on the 25th (Thu) to allow time to travel to Santiago. Santiago is known for museums, shopping, parks, nature, and historic sites. Your plan includes some of its best attractions: don't miss a visit to Santa Lucia Hill, steep yourself in history at Centro Cultural Palacio de la Moneda y Plaza de la Ciudadania, take in the awesome beauty at San Cristóbal Hill, and examine the collection at La Chascona. For ratings, reviews, other places to visit, and other tourist information, refer to the Santiago trip itinerary builder app . 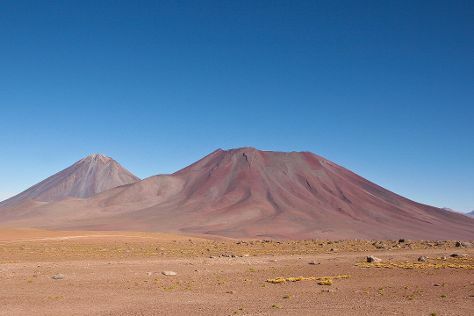 Traveling by combination of shuttle and flight from San Pedro de Atacama to Santiago takes 5 hours. Alternatively, you can drive; or take a bus. Finish up your sightseeing early on the 28th (Sun) so you can go by car to Valparaiso. Navigating through a maze of colorful streets winding up and down steep hills remains an integral part of any Valparaiso tour. 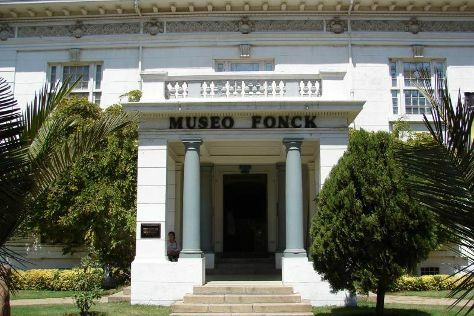 Kick off your visit on the 29th (Mon): examine the collection at Corporacion Museo de Arqueologia e Historia Francisco Fonck, then make a trip to Flower Clock (Reloj de Flores), then take in the local highlights with Walking tours, and finally examine the collection at La Sebastiana. Get ready for a full day of sightseeing on the next day: take some stellar pictures from La Piedra Feliz, then examine the collection at Museo Lord Cochrane, and then don't miss a visit to Cerro Concepcion. To see more things to do, photos, traveler tips, and tourist information, go to the Valparaiso road trip planner. Traveling by car from Santiago to Valparaiso takes 1.5 hours. Alternatively, you can take a bus. Expect a daytime high around 22°C in April, and nighttime lows around 13°C. Finish your sightseeing early on the 30th (Tue) to allow enough time to travel back home.